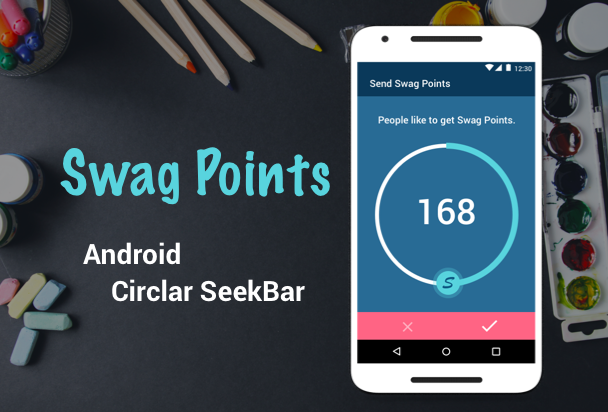 SwagPoints - An Android custom circular SeekBar that supports max/min range and step settings. Remember to add layout_padding to make sure that there is enough space to display the whole widget and indicator drawable. If you don't add any layout_padding, the arc will extend the whole width/height, and the indicator drawable will be truncated (as below diagram). 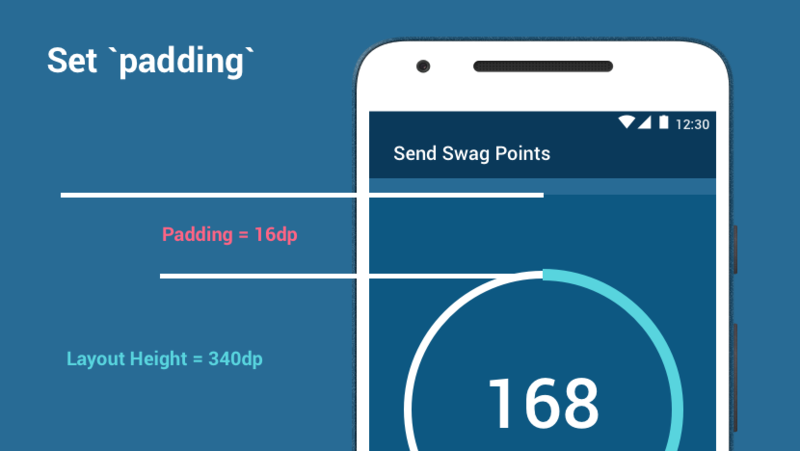 Download the app Swag – Exchange Personal Snaps on Google Play. This widget is used in the send point dialog.